Tralee Bay Sailing Club (TBSC) situated in Fenit, Co. Kerry was founded in 1956 by a group of local enthusiasts. 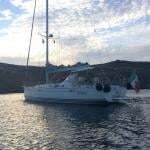 From rudimentary beginnings the Club has grown and now boasts a vibrant and expanding membership together with a clubhouse and a sailing school. The setting of the Clubhouse overlooking Tralee Bay near Fenit Harbour provides panoramic views of Tralee Bay from Blennerville Windmill to the Marahees and westward to Bandon Point. It is the combination of this spectacular backdrop together with the protected inshore waters of Tralee Bay, which provides a tremendous venue for competitive sailing events such as National Championships and WIORA. To the seaward of Tralee Bay more vigorous conditions prevail – south to Dingle and West Cork and north to the Shannon Estuary and Galway. 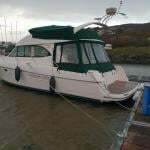 In addition to the TBSC clubhouse, with changing rooms, showers, kitchen, storage and licensed bar, the adjacent Fenit Harbour provides a sheltered 110 berth marina with associated facilities. Cruiser racing takes place from March to October on Tuesday and Thursday evenings with a number of Sunday races. Dinghy racing is on Sundays during March, April, September, October, November and on Wednesdays and Saturdays from May to August inclusive.